Otto, forby spelt Otho (Greek: Ὄθων, Βασιλεὺς τῆς Ἑλλάδος, Óthon, Vasiléfs tis Elládos; 1 Juin 1815 – 26 Julie 1867), wis a Bavarie prince wha became the first modren Keeng o Greece in 1832 unner the Convention o Lunnon. 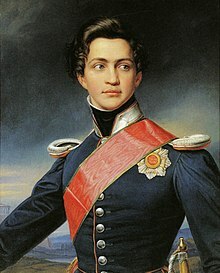 1 Juin 1815 - 27 Mey 1832 His Ryal Highness Prince Otto o Bavarie. 27 Mey 1832 – 23 October 1862 His Majesty The Keeng o Greece. This page wis last eeditit on 27 Mairch 2019, at 17:27.